Stage 4: ensuring widespread adoption and use. Unfortunately, most sports injury research does not result in adequate dissemination or widespread use of effective interventions.5 ,6 The problem is not unique to sports medicine. In a review of 1210 articles published in 12 leading public health and health promotion journals, Oldenburg et al7 found that 63% of publications were descriptive (Stages 1 and 2), 11% were concerned with method development and 16% were intervention-based (Stage 3), and only 5% were concerned with institutionalisation or policy implementation research, with less than 1% containing diffusion research (Stage 4). members of the target community, sports bodies (ie, context experts). All three are necessary partners to achieve the sports injury prevention benefits we seek (figure 1). Each partner brings expertise that is critical to successful implementation of evidence-based practice. Integrating the expertise of all stakeholders is required to ensure that comprehensive, evidenced-based interventions are also practical and relevant to the real world of sports medicine. Integrating expertise to ensure comprehensive, evidence-based interventions that are practical and relevant when applied in the real world. This problem is often framed as a need for better translation of research evidence into practice.8 ,15 However, there is also a need for better translation of evidence from practice into research.11 Perhaps the real barrier is not a lack of understanding, but a failure to listen! Good communication, good translation and indeed good research are necessarily a dialogue, a multidirectional conversation in which everyone's contribution is valued. If we could find the humility to listen we might be surprised to discover that policy makers, practitioners and the sporting community have valuable expertise that can enhance our research by making it more relevant, more practical and more applicable in the real world. Sports injuries are largely preventable but discrepancies among researcher, practitioner and community perceptions of injury causation and the potentially feasible solutions for prevention are important barriers to mounting an effective response. It is not enough to understand what should be done but rather to understand what can be done and how it needs to be done. Injury prevention research that does not connect with the practical realities of implementation and adoption, and does not build the consensus needed to ensure effective implementation, will not prevent injury or improve health. From the very beginning, the combined expertise of researchers, practitioners and the target community is required if the application of the Public Health Model is to produce outcomes that will ultimately benefit public health and sports medicine.
. 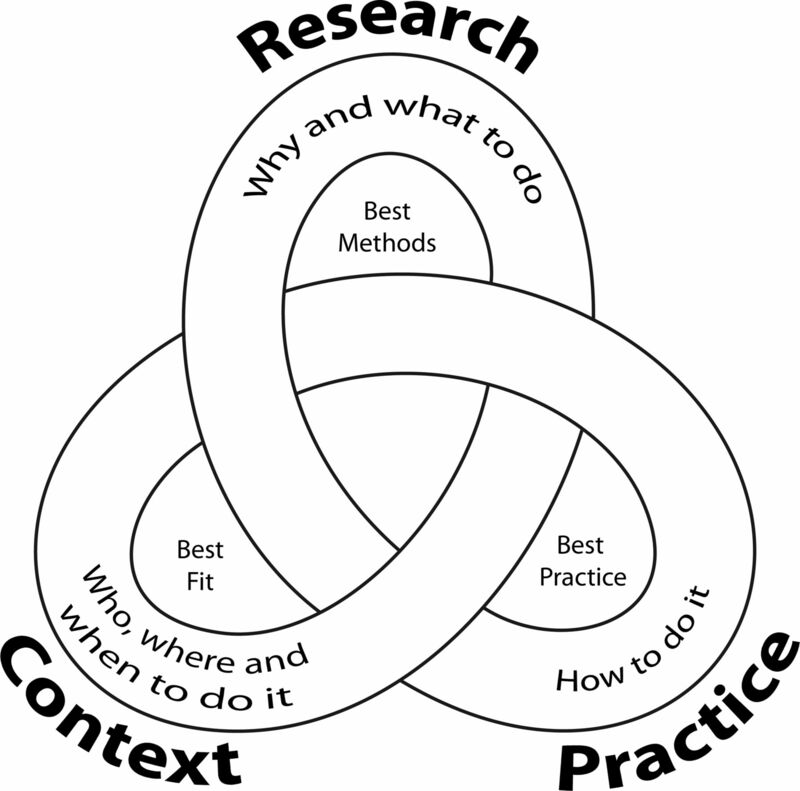 Implementation and dissemination research. The time has come! Br J Sports Med 2011;45:763–4.
. Public health policy for preventing violence. Health Aff 1993;12:7–29.
. From discovery to delivery: injury prevention at the CDC. Health Promot Pract 2003;4:98–102.
. Planning for implementation and translation: seek first to understand the end users perspective. Br J Sports Med 2012;46:306–7.
. Health promotion research and the diffusion and institutionalization of interventions. Health Educ Res 1999;14:121–30.
. No longer lost in translation—the art and science of sports injury prevention implementation research. Br J Sports Med 2011;45:1253–7.
. Why don't we see more translation of health promotion research to practice? Rethinking the efficacy-to-effectiveness transition. Am J Public Health 2003;93:1261–7.
. From research to “best practices” in other settings and populations. Am J Health Behav 2001;35:165–78.
. Ecological approaches to the prevention of unintentional injuries. Ital J Pub Health 2010;7:24–31.
. Chapter 35. Implementing and evaluating interventions. In: Baker S, Li G, editors. Injury research: theories, methods, and approaches. New York: Springer; 2012. 619–39.
. Dissemination, implementation, and widespread use of injury prevention interventions. In: Doll L, Bonzo S, Mercy J, Sleet D, eds. Handbook of injury and violence prevention. New York: Springer, 2007.
. Behavior change intervention research in community settings: how generalizable are the results? Health Promot Int 2004;19:235–45.
. The prevention of sport injury: an analysis of 12000 published manuscripts. Clin J Sports Med 2011;20: 407–12.
. Scientific evidence and policy change: lowering the legal blood alcohol limit for drivers to 0.08% in the USA. Global Health Promot 2012;18:23–6.
. Encouraging adoption of science-based interventions: organizational and community issues. In: Doll L, Bonzo S, Mercy J, Sleet D, eds. Handbook of injury and violence prevention. New York: Springer, 2007:511.
. Applied social and behavioural science to address complex health problems. Am J Prev Med 2011;41:525–31. Contributors Each author contributed to conception and design of the review, drafting the article or revising it critically for important intellectual content and final approval of the version to be published. This work does not necessarily represent the official views of the US Centers for Disease Control and Prevention.